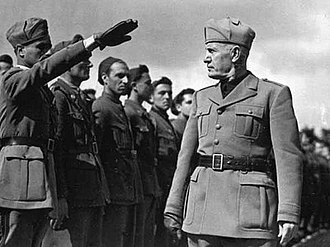 The Budapest Offensive was the general attack by Soviet and Romanian armies against Nazi Germany and their Axis allies from Hungary. The offensive lasted from 29 October 1944 until the fall of Budapest on 13 February 1945. This was one of the most difficult and complicated offensives that the Soviet Army carried on in Central Europe. 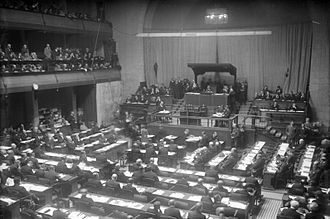 It resulted in a decisive victory for the USSR, as it disabled the last European political ally of Nazi Germany and greatly sped up the ending of World War II in Europe. Having secured Romania in the summer Iasi–Kishinev Offensive, the Soviet forces continued their push in the Balkans. The Red Army occupied Bucharest on 31 August, then swept westward across the Carpathian Mountains into Hungary and southward into Bulgaria, with parts joining the Yugoslav Partisans in the Belgrade Offensive. 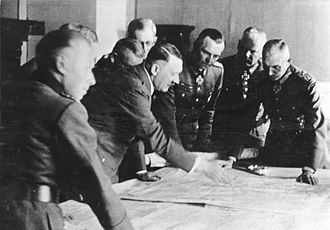 In the process, the Red Army’s forces drew German reserves away from the Warsaw-Berlin central axis, encircled and destroyed the German 6. Armee (for the second time) and forced Army Group South Ukraine’s shattered 8. Armee to withdraw west into Hungary. From October 1944, the 2nd, 3rd, and 4th Ukrainian Fronts advanced into Hungary. After isolating the Hungarian capital city in late December, the Soviets besieged and assaulted Budapest. 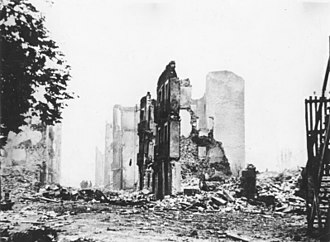 On 13 February 1945, the city fell. The First (29 October 1944 - 3 November 1944) and Second Periods (7 November 1944 – 24 November 1944) were marked by the two large offensives of the 2nd Ukrainian Front, led by Rodion Malinovksy. 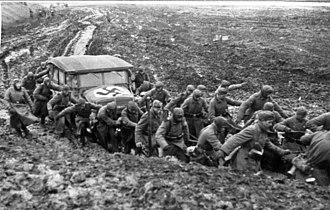 The battles in these two periods were exceptionally bloody and fierce, since the Germans offered strong resistance against the Soviet onslaught. Though the Red Army managed to gain considerable territory, they failed to capture Budapest, due to the fierce German resistance and their own lack of offensive strength. 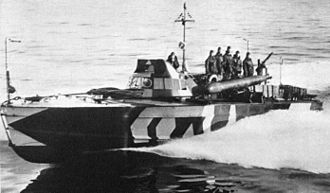 In the Third Period (3 December 1944 – 26 December 1944), the 3rd Ukrainian Front of Fyodor Tolbukhin reached the Danube river after liberating Belgrade, and thus greatly enhanced Soviet offensive power in Hungary. Now with adequate forces, the Soviet fronts launched a two-pronged attack north and south of Budapest, finally encircling the city and trapping about 79,000 German and Hungarian troops inside the Budapest pocket. 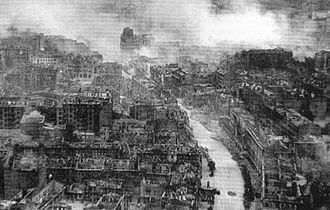 The Fourth Period (1 January 1945 – 26 January 1945) was marked by a series of strong counter-offensives launched by German reinforcements in an attempt to relieve the siege of Budapest. Some German units managed to penetrate deep into the outskirts of the city, with the most successful ones only 25 km away from the Hungarian capital. However, the Soviets managed to withstand all the German attacks and maintain their encirclement. 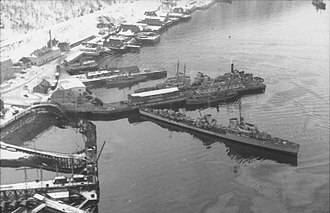 Finally, in the Fifth Period (27 January 1945 – 13 February 1945), the Soviets mustered their forces to eliminate the besieged defenders in the city. 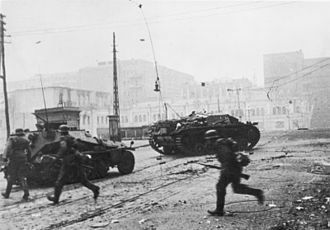 The German troops fought for about half a month more before surrendering on 13 February 1945, ending four months of bloody fighting in the Budapest area. Out of the estimated 79,000 defenders less than 1,000 managed to avoid death or captivity. After the Budapest offensive, the main forces of Army Group South virtually collapsed. The road to Vienna, Czechoslovakia and the southern border of Germany was widely open for the Soviets and their allies. 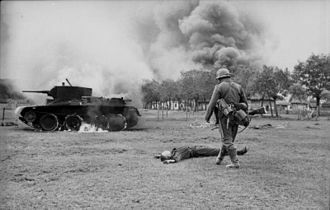 According to Soviet claims, the Germans and Hungarians in Budapest lost 49,000 dead soldiers, with 110,000 captured and 269 tanks destroyed. As most of the German forces in the region were destroyed, troops were rushed in from the Western Front and, in March, the Germans launched the ill-fated Operation Spring Awakening (Unternehmen Frühlingserwachen) in the Lake Balaton area. 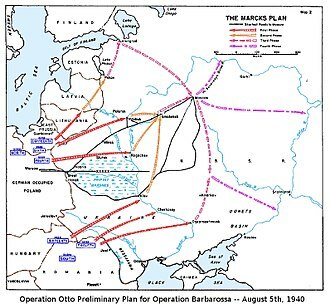 The expansive goals of this operation were to protect one of the last oil producing regions available to the Axis and to retake Budapest. 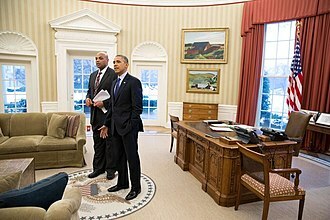 Neither goal was achieved. ^ a b Frieser et al. 2007, p. 922. David M. Glantz, The Soviet‐German War 1941–45: Myths and Realities: A Survey Essay. Fyodor Ivanovich Tolbukhin was a Soviet military commander. Tolbukhin was born into a peasant family in the province of Yaroslavl and he volunteered for the Imperial Army in 1914 at the outbreak of World War I. He was steadily promoted, advancing from private to captain by 1916 and he was decorated for bravery multiple times. In August 1918 Tolbukhin joined the Red Army, where he served as the chief of staff of the 56th infantry division, after the Russian Civil War ended, Tolbukhin was given a number of staff positions. 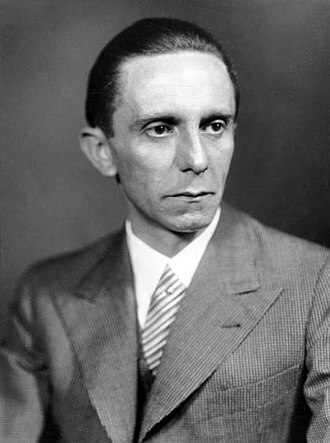 He attended the Frunze Military Academy for advanced training, graduating in 1931. 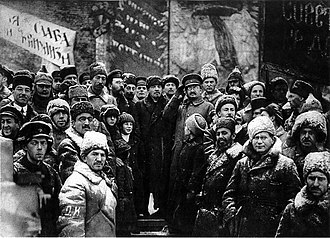 In 1937, after a series of positions, Tolbukhin was given command of a division. In 1938, he was chief of staff of the Transcaucasus Military District. 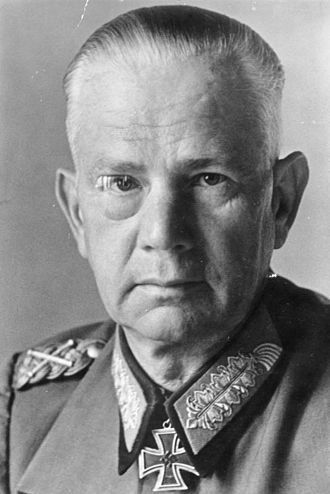 Tolbukhin remained in position through the opening phases of Operation Barbarossa until August 1941, when he was made the chief of staff of the Crimean Front. From May to July 1942, he was the assistant commander of the Stalingrad Military District, after that, he was the commander of the 58th Army until March 1943. 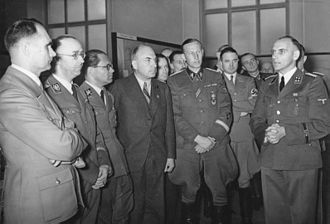 The 58th was involved in the Battle of Stalingrad, where Tolbukhins superior, Colonel-General Andrei Yeremenko, praised his command organization, after his command of the 57th, Tolbukhin was placed in command of the Southern Front. In October 1943 the Southern Front was renamed 4th Ukrainian Front, Tolbukhin assisted Rodion Malinovskys 3rd Ukrainian Front in the Lower Dnieper Offensive and Dnieper–Carpathian Offensive. 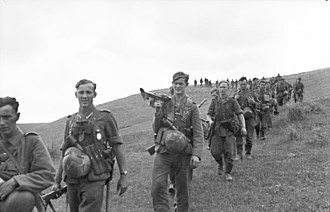 In May 1944, Tolbukhin was transferred to control of 3rd Ukrainian Front, during the Summer Campaign, from June to October 1944, Tolbukhin and Malinovsky launched their invasion of the Balkans and were able to conquer most of Romania. On September 12,1944, two days after Malinovsky was promoted to Marshal of the Soviet Union, Tolbukhin was promoted to the same rank, while Malinovsky moved northwest, towards Hungary and Yugoslavia, Tolbukhin occupied Bulgaria. Starting in the Winter Campaign, Tolbukhin shifted his army to the northwest axis, thereby liberating much of Yugoslavia, after the war, Tolbukhin was commander-in-chief of the Southern Group of Forces, which comprised the Balkan region.